The "international airport of the Gulf of Saint-Tropez", ICAO code LFTZ, is a high-end business airport, located at La Mole, near Saint-Tropez, in the Var (South of the France, Provence Alpes Côte d'Azur region). If it is one of the smallest international airports, it is particularly dynamic, with more than 9000 movements, for nearly 9000 passengers (2017). 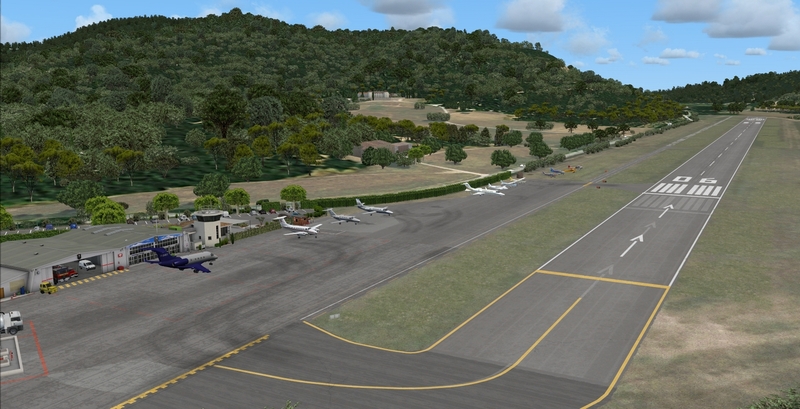 Its unique 1180m runway can accommodate planes over 15 tonnes. 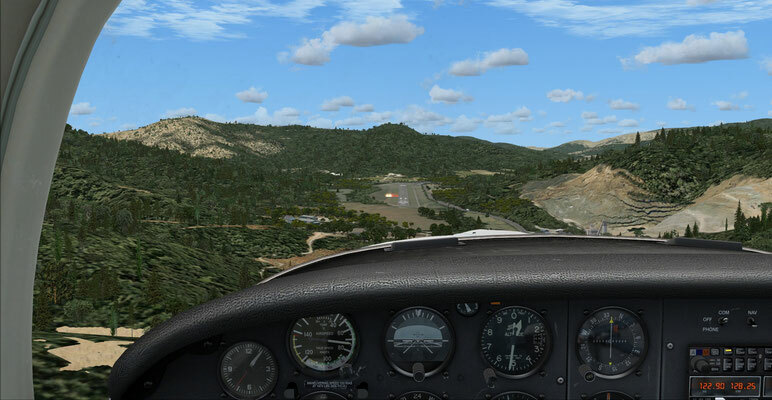 One of the features of this airport is its localization, surrounded by hills, making operations difficult and imposing on pilots to have previously made a reconnaissance flight with an accredited instructor or to have a "mountain" certification. 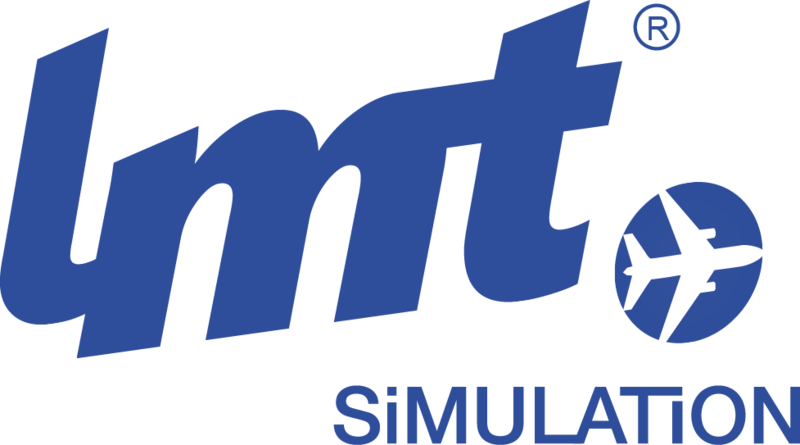 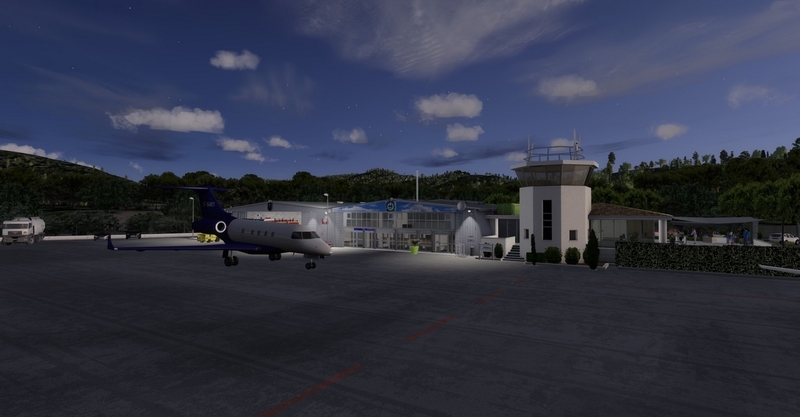 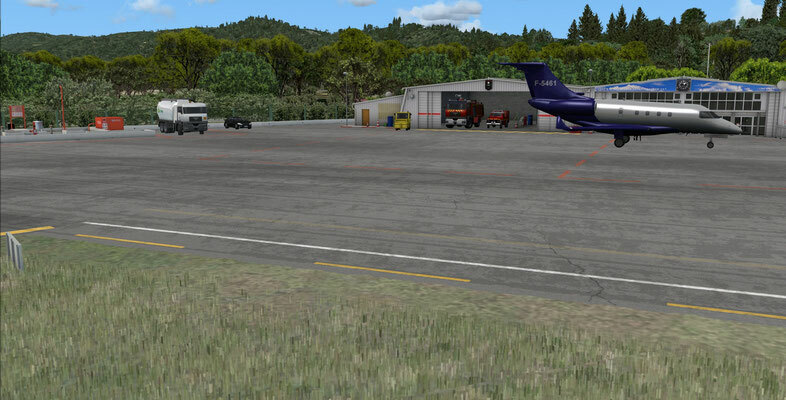 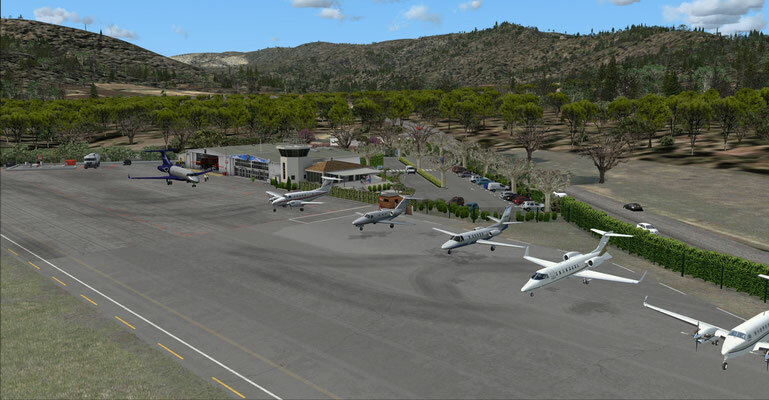 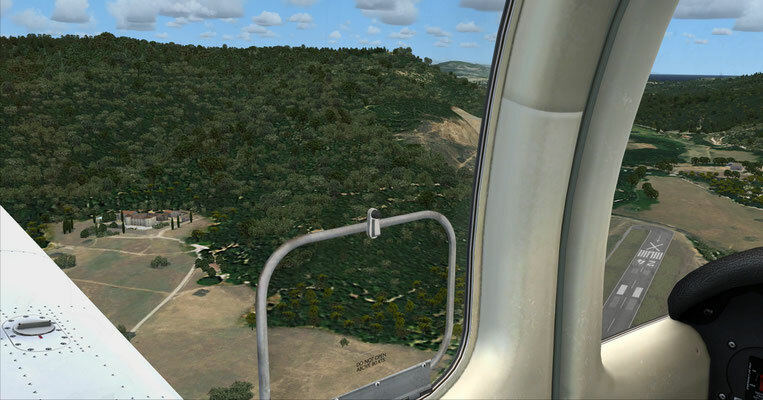 LMT simulation offers you access to this airport under Flight Simulator X and Prepar3D! 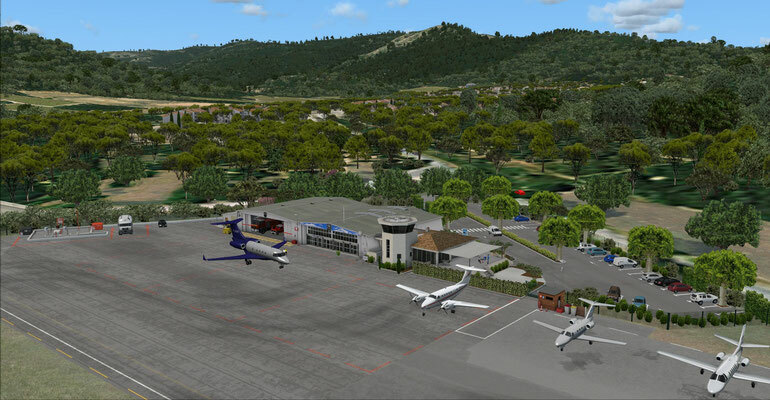 Of course, you no need any qualification to take off and land at the Saint-Tropez airport under FSX or P3D but the challenge is real, exciting and will allow you to test your piloting skills! 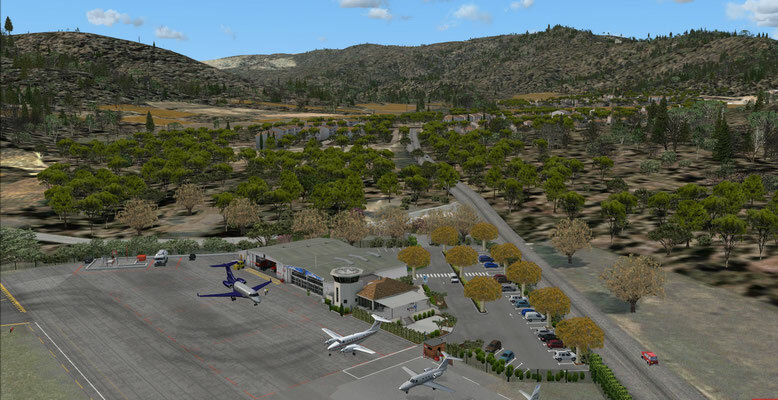 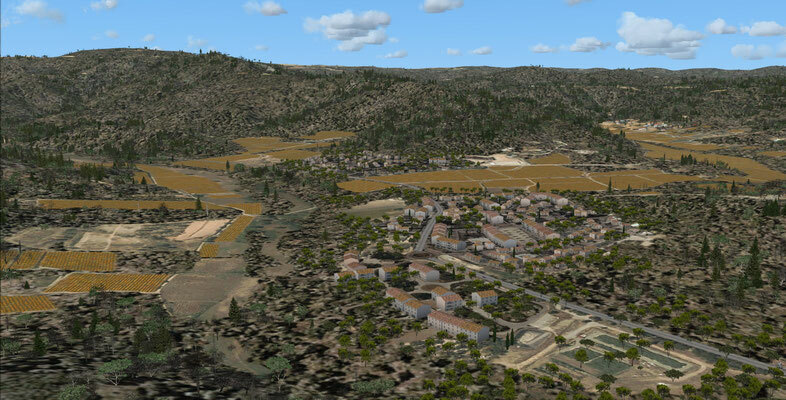 Like LFMD Cannes-Mandelieu and LFNF Vinon, this scenery, for Flight Simulator X and Prepar3D v3 / v4 was made with attention to detail and the best optimization. Each building and each ground surface (Runway, taxiways, parkings) was modeled for maximum realism, on the airport but also on a large area around it. 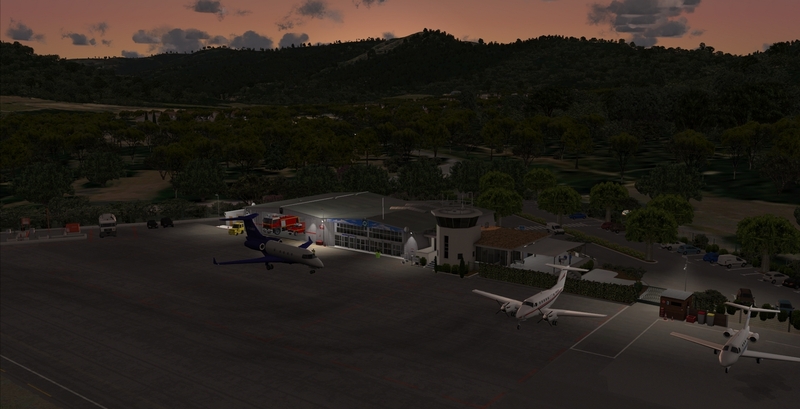 We hope to offer you a real pleasure of flight ! High level of realism (Buildings, parkings, taxiways, runways…). 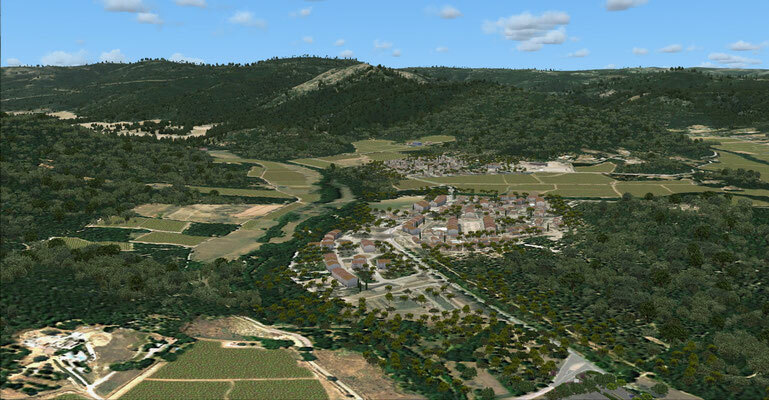 Large area around the airport, including the village, the castel and the little chapel. 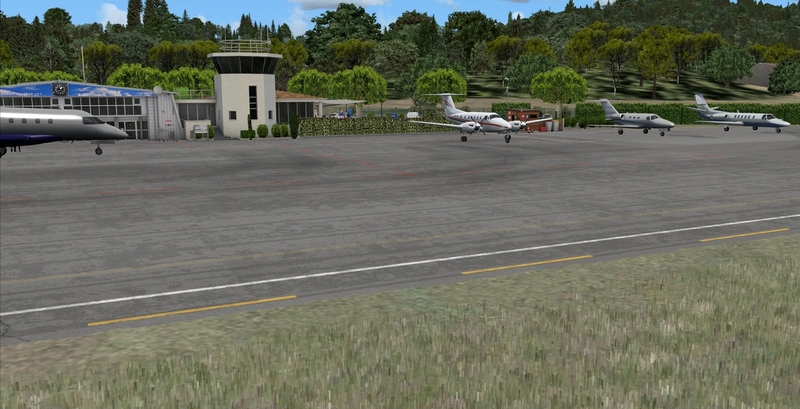 Compatible with France VFR PACA Vol.1 et Trafic France.